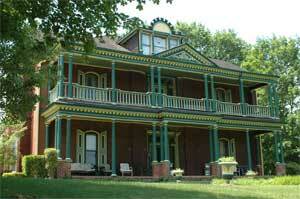 Historic Tennessee homes with southern charm. 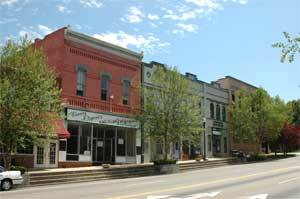 Beautiful Main Street in Sparta Tennessee. 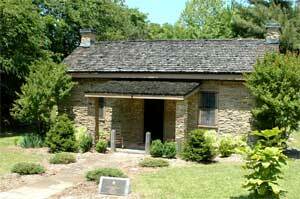 Built of Tennessee sandstone between 1835 and 1839 by Barlow and Madison Fisk, the Rock House served as a frontier toll house and stage coach inn along the wilderness trail. President Andrew Jackson stopped here on his trips to and from Washington to visit Samuel Denton who was the operator and the own of the Rock House. Other notable visitors included President James K Polk and Sam Houston. Tell them you saw it on YourCumberland: the Cumberland TN information site! © Your Cumberland 2019 Cumberland Tennessee Travel and Information for Cumberlands of TN.